We just wrapped up CarrotCamp Spring 2018 and I’m still amped up. It was a few spectacular days and I really want to, again, thank those who took the time to join us! 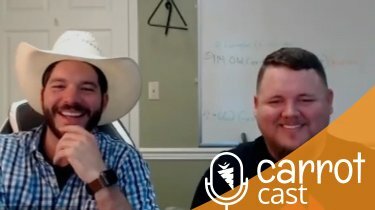 On this CarrotCast, I want to discuss a breakthrough that three of us at camp had during a lunch about passion and fun. If you’re struggling to find passion and build a business around what motivates you, you need to take this simple concept and run with it. Check out more CarrotCast episodes at carrotcast.com. This 7 Minutes Can Change You. Find Your Passion And Start Having Fun Again. :30 – Quick backstory around having a breakthrough around “passion”. 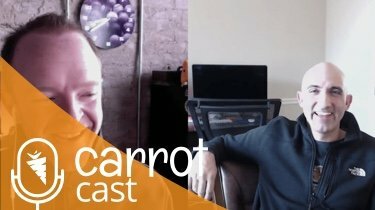 :55 – Recapping CarrotCamp Spring 2018 Edition. 2:20 – Having a conversation about passion and fun. Forgot to have fun? 3:25 – Trevor’s struggles with finding passion. 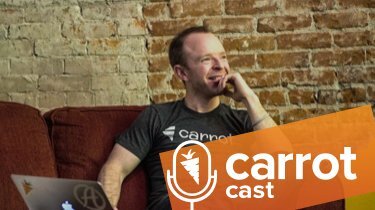 5:15 – How to find passion again and what does it mean? Find that “state-of-being” that makes you light up.